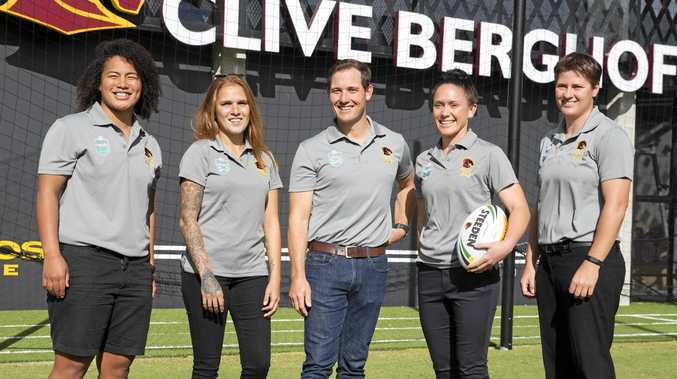 NRLW: It's all about the Brisbane Broncos. 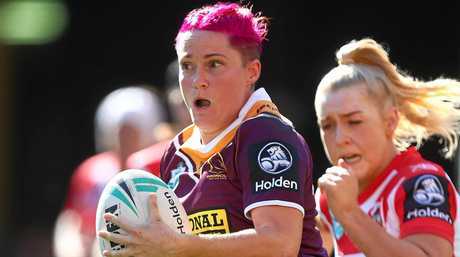 That's the attitude Broncos' women's coach Paul Dyer wants his team to bring into the Holden Women's Premiership grand final against Sydney Roosters on Sunday afternoon. Dyer said Gladstone's Chelsea Baker will be a key in the first-ever women's decider at 1.35pm at Sydney's ANZ Stadium. 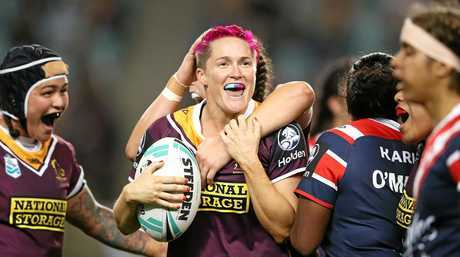 Ex-Calliope Rooster Kody House also is a good chance to stay in the team after her debut against New Zealand Warriors last Friday night. "They've both fitted in fantastically and I knew they would and they're two girls who both played for Queensland and they love their state and love their club," Dyer said of Baker and House. "Chelsea's been fantastic for us at fullback and she showed that form in the national carnival earlier in the year and it's pretty easy to work out that that's her position. "She loves playing there and she's got a lovely running game." House missed the first two games after she suffered a head knock in a trial match, but she returned to score a spectacular try last Friday against the Warriors. "It put her behind the eight-ball for a couple of weeks and she got an opportunity against the Warriors and had some lovely touches which was good," Dyer said. "She's been fantastic in and around the group as well." When asked if House will retain her place in the centres given Meg Ward's imminent return to the line-up, Dyer remained coy about the final side. "The reality is that there's going to be 17 players to take the field which means five girls are going to miss out," he said. "I remember the great Graham Murray once telling me at the end of the day when you are picking your team to take the field, you put your best 17 players out there that you think can get the job done." The coach said that the players who miss selection will understand the situation - and that it's an indication of the great depth of talent at the Broncos. The Roosters enter the historic decider with a 2-1 record - its only loss was to Brisbane 14-4 back in September 14. And Dyer said he's not concerned with what the Roosters will bring to the table. "Our focus has always been ourselves and to be making sure we're defending well and attacking well," he said. "If we got both those things in order and you couple that with holding the ball with just your ball control, I think that you will put yourself in a good position to win any game of footy. "Hopefully that can be good enough on Sunday." Coverage of the game is on FOX and Channel Nine.